Angie's List 2015 Super Service Award Winner: Holtzople! Holtzople Wins Angie’s List 2015 Super Service Award! Following up on our win in 2014, we are once again proud to announce that we have done it again! We are please to announce that we have won the 2015 Angie’s List Super Service Award! This award honors excellence among Angie’s List service providers who maintain a superior service record. We are once again honored to be a part of an elite class, as this award is only presented to less than 5% of thousands of businesses on Angie’s List! 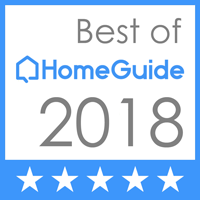 The members of Angie’s List often view the award as a very strong positive when choosing a business, and we are so proud to be surrounded by excellent company!